Struggling with soufflés? Here are eight fantastic recipes from some of the country’s best chefs. 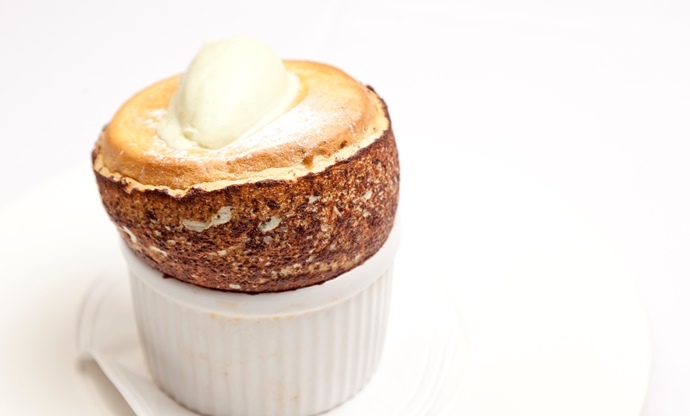 Ah, soufflé – the ultimate culinary gamble. There’s nowhere to hide when it comes to the soufflé. If it works, you’re a Michelin star chef in your own kitchen, lapping up adoring praise from your guests. If it doesn’t, you’re scrambling for your car keys and finding change for a Viennetta. We’re not sure where the fear came from, though. Sure, there are some steadfast rules on how to make soufflés that absolutely must be adhered to and you need to know your oven temperature pretty well – if it runs a bit hotter or colder than advertised, that’ll significantly affect your timings. But aside from that, soufflés are nothing to be scared of. 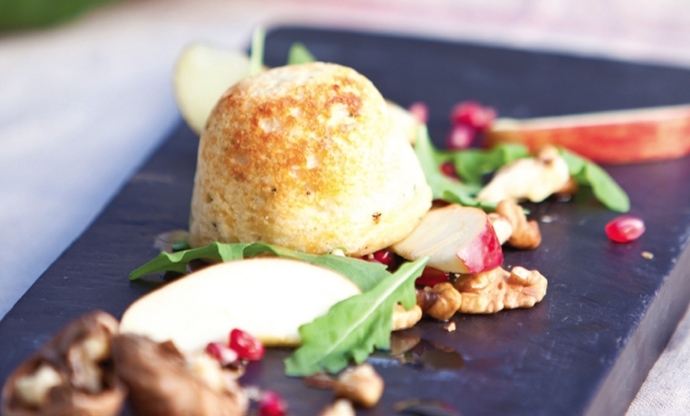 We’ve rounded up eight of our favourite recipes to tantalise your taste buds and prove just that, and you can check out our entire collection of soufflé recipes here. 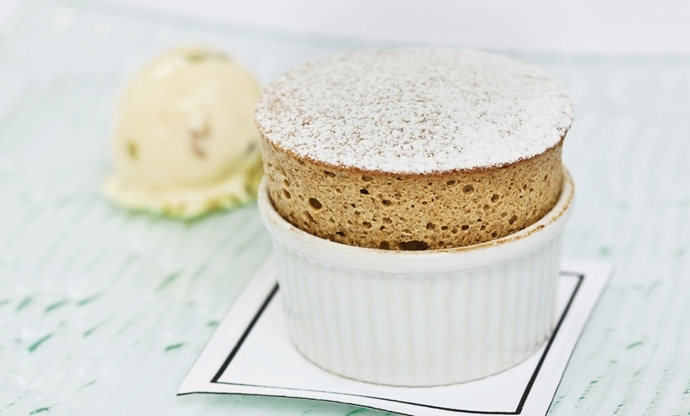 Pierre Koffmann’s pistachio soufflé is the stuff of legend – one can only wonder how many of them he sent across the pass at La Tante Claire over the years. 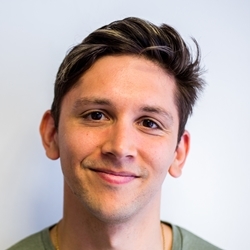 Pierre infuses his milk with pistachio paste – use the best quality you can get your hands on – and mixes up a custard with egg, egg white, caster sugar and flour. Whisk your egg whites, fold them in as efficiently as possible, and bake in the oven at 230°C for ten minutes. The pistachio ice cream is an optional but sublime addition. The benefit of the double-baked soufflé is that you don’t have to worry so much about last-minute disasters. 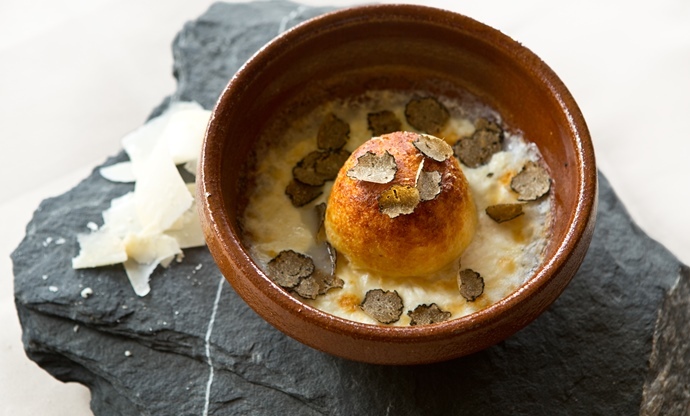 Pascal Aussignac’s decadent recipe is a classic combination too – he makes a white sauce and mixes through Parmesan, Dijon mustard, garlic and Espelette pepper, before whisking his egg whites to stiff peaks and folding through. Whilst these have their first bake in the oven, he makes a leek fondue and divides it between individual ovenproof dishes, topping each with a soufflé and baking again to finish off. 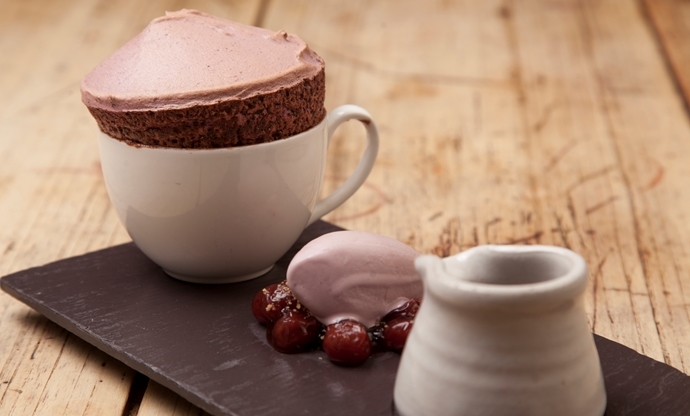 Cherry and chocolate are a match made in heaven, and if it works in a Black Forest gâteau, why shouldn’t it work in soufflé? Steven uses lots of high-end techniques and ingredients in his recipe, but you can manage without the likes of xanthan gum and a sous vide machine. His soufflé method is slightly different too, making a soufflé base with cherry purée, cornflour and caster sugar and folding through meringue, before piping into ramekins. Most cheese soufflés start with a white sauce base and Shaun Rankin’s is no different – he mixes his with cheese, chives and egg yolks, before folding through his whisked egg whites – but after that he steams his soufflés in moulds. The advantage of this is that the soufflés can be held in the fridge after steaming, so you can prepare lots of them early on before finishing them in the oven right before serving. Bake them for six to eight minutes at 200˚C, and whip up a quick salad of apple, walnut, pomegranate and rocket to sit on the side. Luke Tipping puts custard powder in his soufflé base and infuses it with the zest of two oranges. Whilst the base is cooling, he lines his ramekins with cocoa powder and puts an orange segment in the bottom, before whisking his egg whites and folding through the citrusy custard. 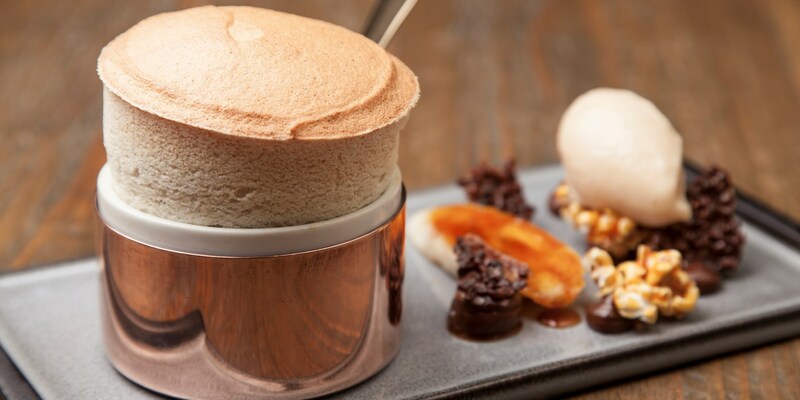 Best of all, you can make your orange soufflé really light and zesty, or add an extra layer of decadence, as Luke does, with a silky chocolate sorbet on the side. Traditionally in Scotland, cranachan is a big mound of whipped cream with whisky, honey, oats and fresh raspberries – undeniably delicious, but not exactly refined if you’re planning a dinner party. Adam Stokes manages to bring all those delightful flavours into a soufflé, making a crème pâtissière with honey and whisky, before whisking up egg whites, folding the two together, and popping some fresh raspberries in the middle before they go into the oven. Marcello Tully’s silky smoked haddock soufflé is much simpler than it sounds, and incredibly tasty. For the base, Marcello makes a white sauce and adds mustard, nutmeg and grated cheese, before stirring in egg yolks and flaked smoked haddock. 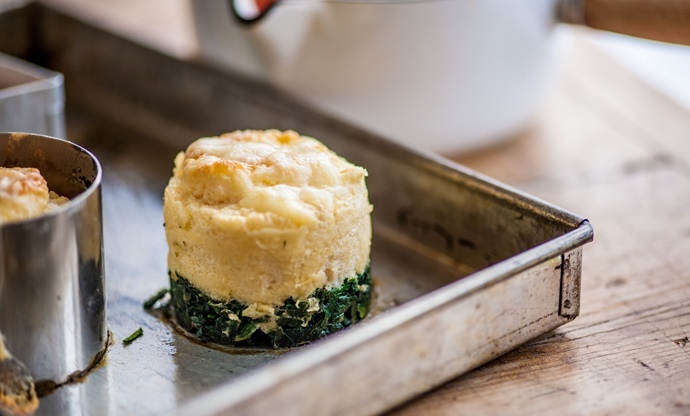 Then just whisk your egg whites to stiff peaks, fold them into your soufflé base and bake them with a base of wilted spinach until they’re well-risen and golden on top. 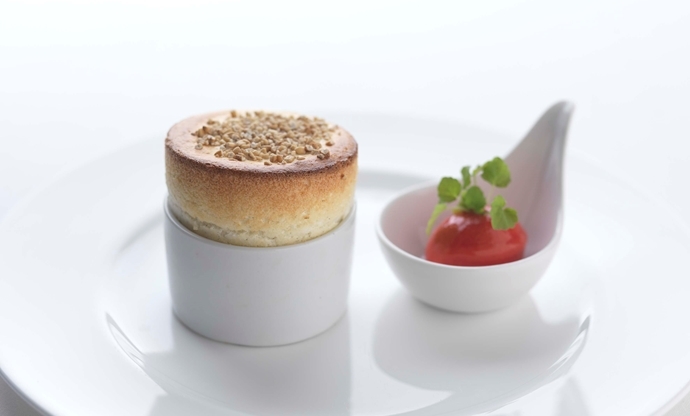 Galton Blackiston chooses a classic combination from the south of France for his soufflé recipe. 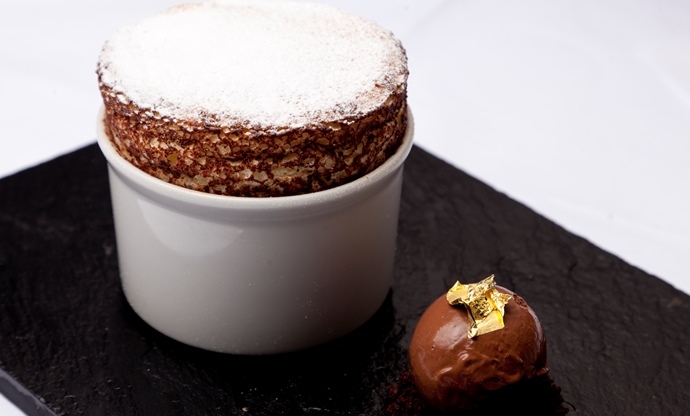 The method is fairly standard for a sweet soufflé – Galton makes a vanilla crème pâtissière and mixes in prune purée, egg yolks and armagnac for his base. After that he folds in his whisked egg whites and fills his prepared ramekins ready for baking. The tutti frutti ice cream is a simple but tasty accompaniment – just marinate some chopped glacé fruits in Grand Marnier and mix through some vanilla ice cream.